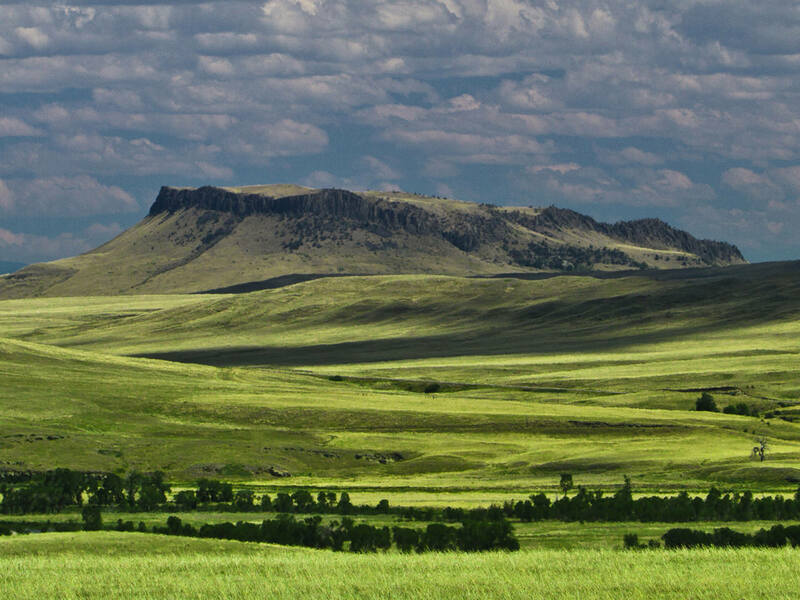 Crown Butte Pasture is comprised of 1,082 deeded acres of native pasture and is located on the eastern slope of the renowned local landmark, Crown Butte. The native pasture has been prudently managed, is well watered and the grass is in very good condition. The mountain pasture is efficiently fenced and is served by a series of stock tanks that are fed by natural seeps and springs creating well-watered ground that is ideal for grazing livestock and attracting wildlife. The Cascade-Simms County Road provides reliable year round access and forms a portion of the eastern border.